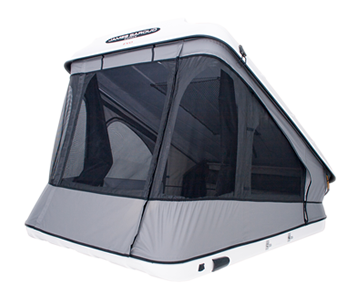 With 50cms headroom at the front and 145 cms at the rear the Espace Evolution allows for an adult to sit upright at the rear of the tent, this increases the functionality of the tent. You can have a bit of a stretch or perhaps get changed. 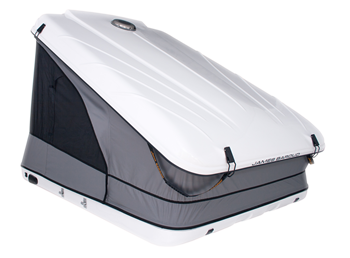 The innovative new raked roof profile also increases air circulation through the tent. The larger doors and windows providing fantastic cross flow ventilation. For extreme conditions ventilation can also be assisted by the solar powered ventilation system, which comes standard on this model. Remember , that the blades in these vents can be reversed to convert the fan into an extractor, now that’s clever.